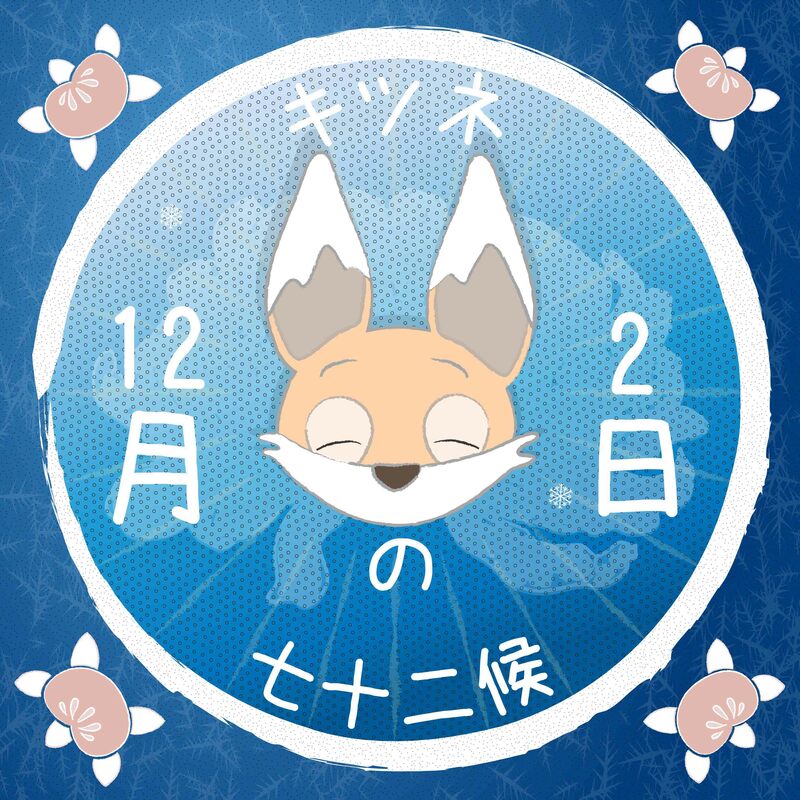 On 2nd December, Kiku the fox woke to the smell of citrus wafting up through the bathhouse. “It isn’t winter solstice yet,” he thought, now being very familiar with the tradition of bathing with yuzu citrus in the tub for good health. As he entered the kitchen, the smell was strong and intoxicating, and there was a large bowl of what looked like oranges on the table, except that every single one was different! Mama Kōjin pointed to the calendar on the wall, which showed that today was the beginning of another micro season based on the almanac given to Kiku by Boss Panda to learn about the seasons of Japan. “Ooh yes! 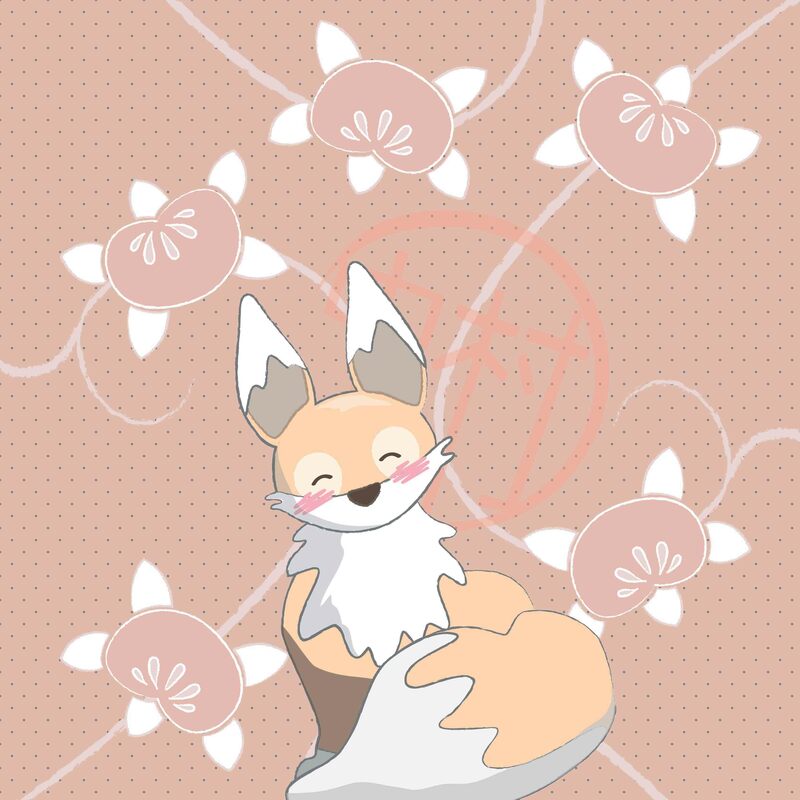 I know the mikan!” said Kiku excitedly. This was a fruit known in England as a satsuma, a specific type of mandarin – named for the Satsuma region where it was originally grown in Japan (now a part of modern Kagoshima prefecture). 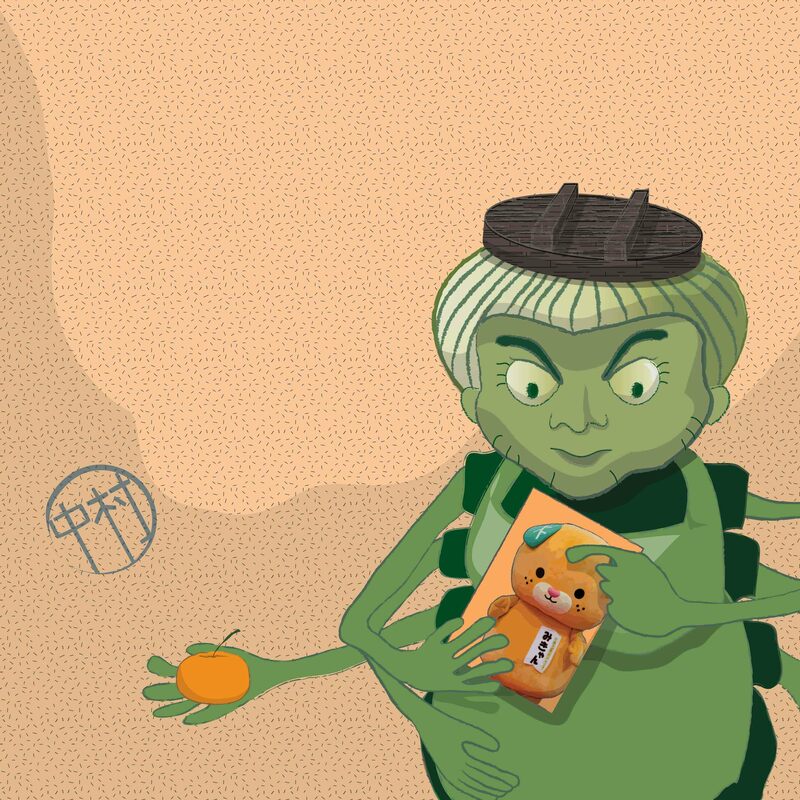 Mama Kōjin explained that the satsuma mandarin was the most commonly produced citrus in Japan. In season in the winter, they are seedless and have a thin skin that makes them easy to peel (but therefore also easy to damage). 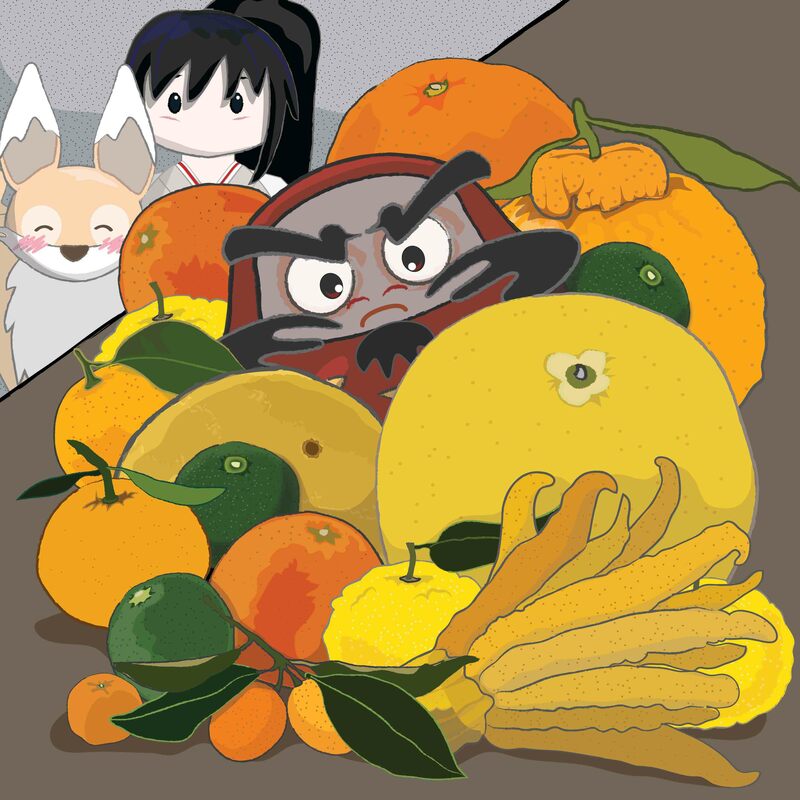 “They are now predominantly grown in Ehime and Wakayama prefectures, and the cute mascot of Ehime is known as Mikyan and is a dog fused with a mikan!” explained Mama Kōjin, who showed Kiku and Miko-chan who had now joined them in the kitchen a picture of the cute looking character mascot of the region. 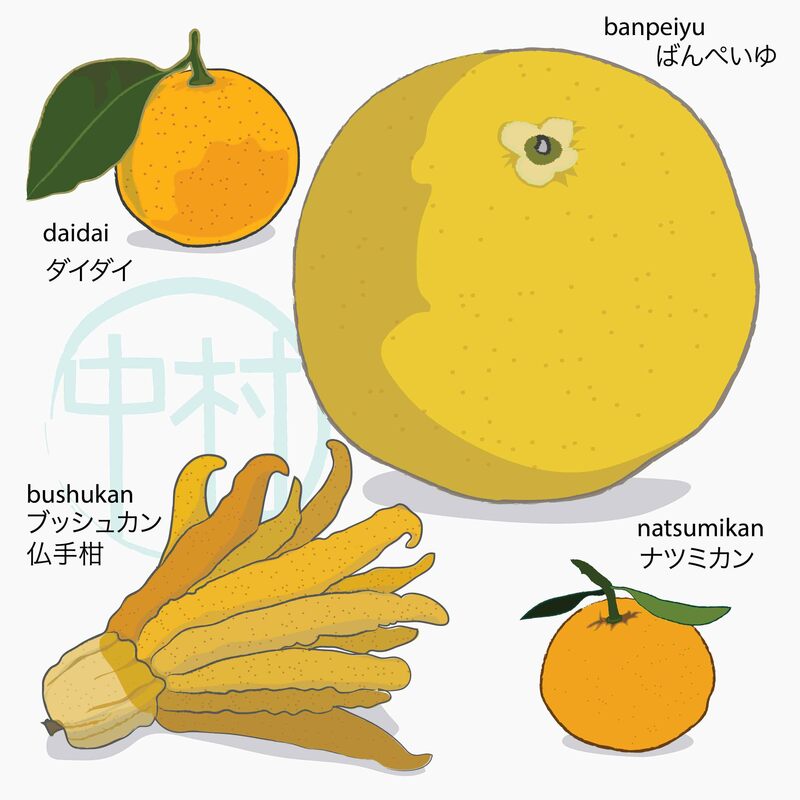 Amanatsu or natsumikan, (meaning summer mikan) – a hybrid citrus of grapefruit size, used in marmalades and eaten raw. Banpeiyu – a variety of pomelo, which is very large, eaten raw, used to make jelly preserve or placed whole in tubs for bathing (along with yuzu). Bushukan (Buddha’s hand) an unusual looking segmented fruit, with a strong fragrance, its zest can be used as flavouring or candied, and it is also grown as an ornamental plant. Daidai – very bitter, the peel used in traditional medicines and remedies. The name originally meant ‘lasting several generations’ because the fruit stayed on the tree if not picked, resulting in several season’s fruit being present on the tree. It is the fruit used in New Year decorations as a symbol of the family continuing for generations – placed atop the kagami mochi to welcome in the new year deities, toshigami-sama. Dekopon – these are large with thick skin and a protruding bump on the top. A seedless, very sweet variety of mandarin, they can be eaten raw and are used as flavouring for candy and as a scent for candles. The name was originally a trademark, and it is known as the Sumo Citrus in the US! 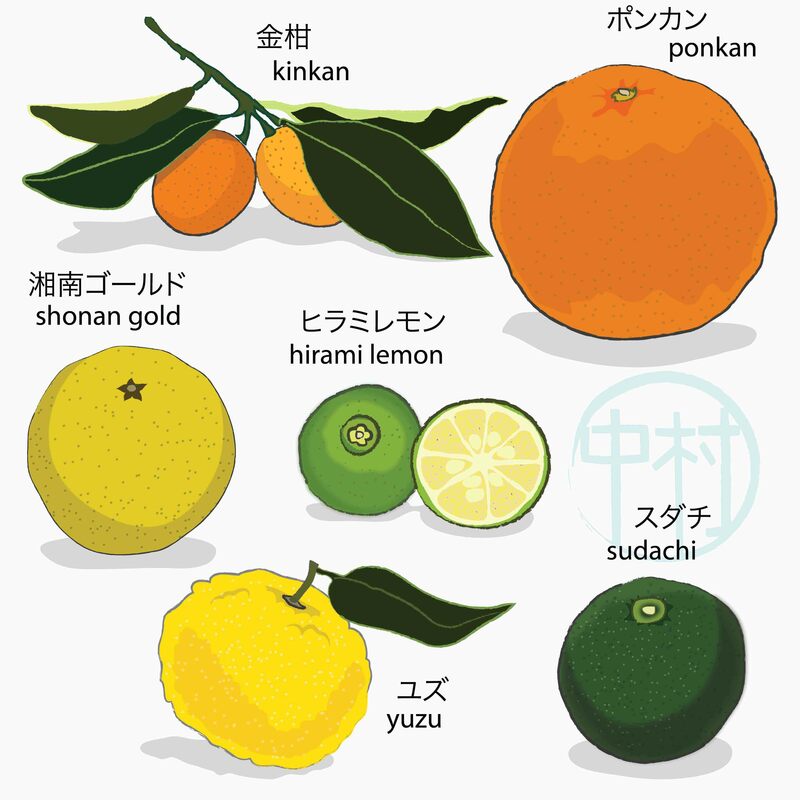 Iyokan – these are the second most commonly produced citrus in japan, can be eaten raw, slightly sour, and also used to cover the smell of seafood cooking. They are very similar looking to mikan, but harder to peel. They are sometimes grown into the shape of a pentagon and called ‘Gokaku no Iyokan’ which means ‘the sweet smell of success in exams’ and are given out to students in Ehime prefecture (where they are predominantly grown) at exam time. Kabosu – a bitter orange hybrid, closely related to the yuzu, the juice is used as an ingredient in ponzu sauce, and as a substitute for vinegar. 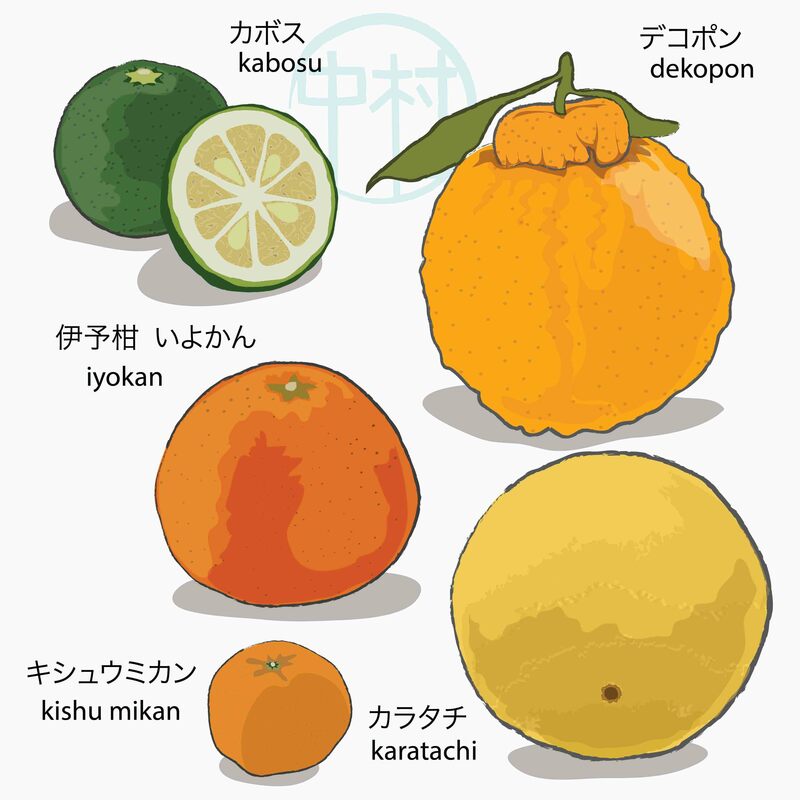 Kinkan (kumquat/ citrus japonica) – the size of a large olive, often eaten whole, used in marmalade and liqueur making. Ponkan or Chinese honey orange – a large, round sweet fruit that is easy to peel. and most popular around Chinese New Year. Shonan gold – a Japanese hybrid bright yellow citrus, which ripens in late spring, when there are fewer citrus available. 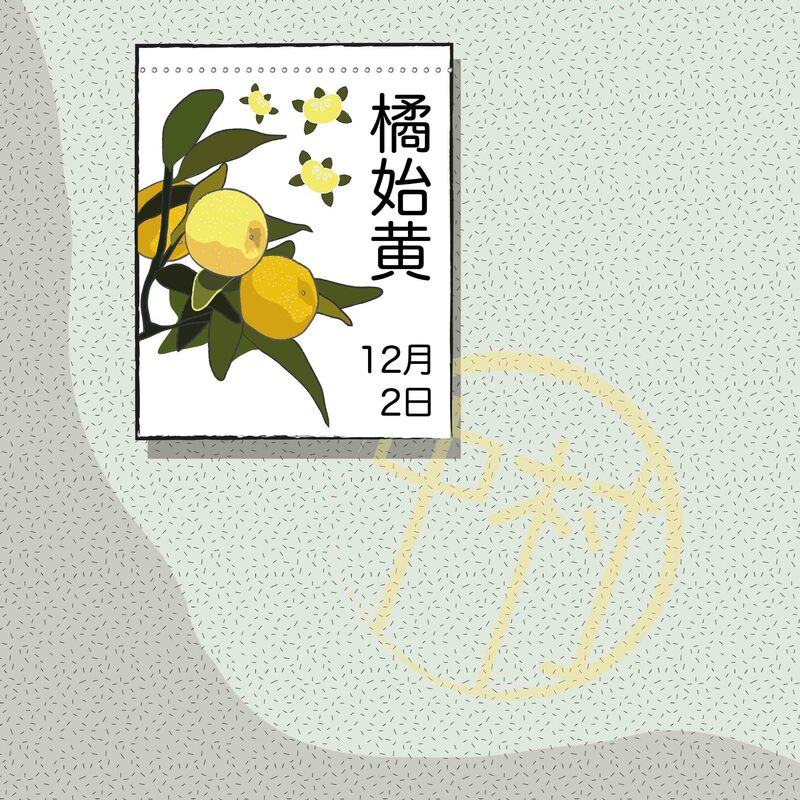 Hirami Lemon – small, green and very sour, native to Taiwan and Okinawa. Used to make jam, juice and as a garnish. Sudachi – related to the yuzu, these are small and green skinned. Commonly used in Japanese cuisine, squeezed over grilled fish and as a flavouring like lemon or lime, or a garnish for soba and udon noodle dishes. Yuzu – a bit like a small grapefruit with more uneven knobbly skin, yellow when ripe. They are highly aromatic and used as an ingredient in ponzu sauce, the zest as garnish and floating in hot bath water to release the fragrance and guard against colds. At the end of their discovery morning with Mama Kōjin, the entire bathhouse was filled with a heady mix of citrus fragrances, and seemed to be pulling in more customers from the street, drawn in by the inviting aroma. Delightfully informative as always, Joanna! Thank you so much.